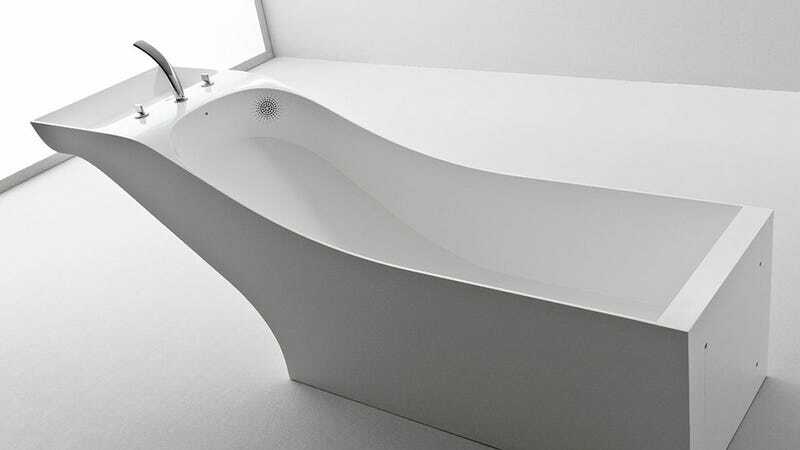 It might reduce the number of bathroom fixtures you need to scrub come cleaning day, but the built-in sink on this curvaceous Symbiosis bathtub from Desnahemisfera hopefully doesn't drain into the tub to conserve water usage—because that would be disgusting. Thankfully, the designers didn't feel that anyone would want to bathe in toothpaste spit either. Or look at ugly plumbing pipes, which are all hidden away inside the tub. The tub isn't only about aesthetics, though. It features an electronically controlled water pressure and temperature system which can be adjusted at the push of a button. And built-in speakers that let you relax to music from your mobile device while taking a warm bath.